Being an outcast is tough, but being a monstrous creature is even tougher! This May, BOOM! Studios’ new horror series CLIVE BARKER’S NIGHTBREED shows that monsters aren’t hiding under your bed—they’re walking among us. Writer Marc Andreyko (Manhunter) and artist Piotr Kowalski (Marvel Knights: Hulk) bring us all-new stories featuring the characters that captivated us in the 1990 film. Before Fables, before Once Upon a Time, horror master Clive Barker created a secret town of monsters that live among us. Don’t worry if you’ve never seen the film or read the novella that inspired it—Barker and Andreyko have crafted stories that all horror fans can enjoy. The Nightbreed are a secret society of monsters and misfits that hide away from humans, but have been a part of this world since time immemorial. Explore both the past and the present of this clandestine tribe as they live in the secret city of Midian, unleashing new secrets and horrors as they fight to coexist with mankind. 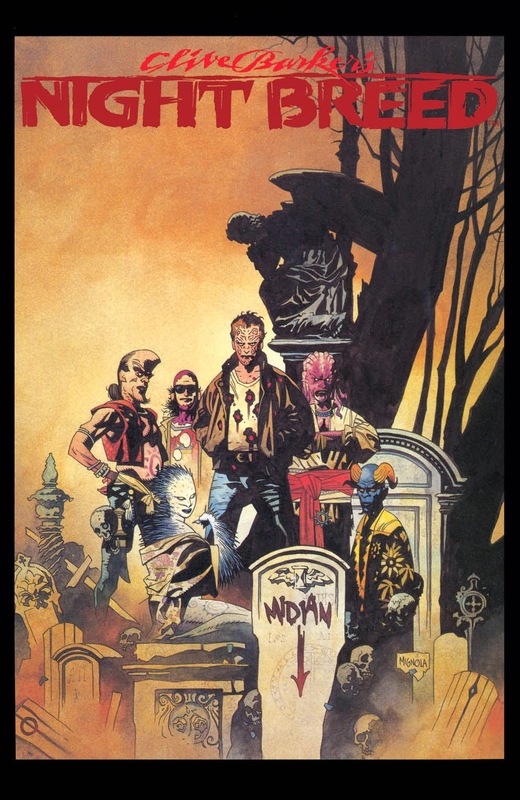 CLIVE BARKER’S NIGHTBREED #1 contains early stories of two of the town’s citizens, Peloquin and Shuna Sassi, and how they came to seek refuge there. CLIVE BARKER’S NIGHTBREED #1 arrives in comic shops on May 28th with a cover price of $3.99 under Diamond order code MAR140941. The main cover is illustrated by Riley Rossmo (CURSE), and retailer incentive covers by Christopher Mitten (Umbral) and Mike Mignola (Hellboy) will also be available in limited quantities. Not sure where to find your nearest comic retailer? Use comicshoplocator.com or findacomicshop.com to find one! It’s also available for order directly from boom-studios.com.